This tutorial will be going over the basics of creating a combination horde, that will be able to be made from two groups of separate units. For this tutorial, we'll be making a Goblin Swordsman/Archer Combo Horde. ; This is required for garrisoned objects - please put in all objects. FormationWidth = 2 ; Width it occupies in formations. Current choices are 1 or 2. FormationDepth = 2 ; Depth it occupies in formations. Current choices are 1 or 2. MeleeAttackLeashDistance = 25; How far the hordes can move from the center of the horde when melee attacking. AfraidOf = NONE +RohanOathbreakerHordeSmall +GondorGwaihir +RohanTreeBerd +RohanEntFir +RohanEntAsh +RohanEntBirch +MordorFellBeast +MordorWitchKingOnFellBeast +MordorBalrog +MordorCaveTroll +MordorMountainTroll +MordorDrummerTroll +MordorMumakil ;Must be SCARY kindof as well. Once found, begin making changes to the unit types and filters. First off, change the object to "MordorGoblinFighterArcherComboHorde." Next, Change ALL MordorFighter tags to MordorGoblinSwordsman, and MordorArcher tags to MordorGoblinArcher. 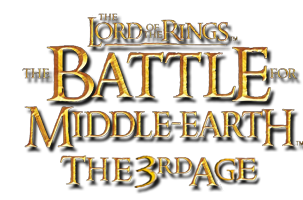 Change the names here to MordorGoblinArcherHorde, and MordorGoblinFighterHorde. Your new combo horde is done, but ingame, you cannot combine the other two hordes to make it. 1. Touching up the other two Hordes. MeleeAttackLeashDistance = 50; How far the hordes can move from the center of the horde when melee attacking. After making the modificatons, your new combo horde should be ready to kill. If you did everything right they should look something like the screenshot below.